Crown Blog - Why choose Crown for storing your household goods? Home / Why choose Crown for storing your household goods? Why choose Crown for storing your household goods? These days’ customers have many options for storing their household goods. There are self-storage units, mini storage operators, mobile trailer pods, smart boxes and lots more. Each operator markets a perception that they are cheaper, safer and more convenient than a company like Crown. You may need storage for a number of reasons. You could be moving to another location and have a limit on what you take, vacating your home for a period, renting temporarily or during renovations, leasing out your home unfurnished or travelling for a while. I can assure you that whatever your reasons there is no better alternative than choosing Crown to pack, uplift, store, insure and eventually redeliver your household goods. So why is Crown the best option when you need to store your household goods and personal effects? Firstly Crown provides a quality storage service that is second to none. We use kiln dried, purpose built wooden storage modules that are designed for safety and easy access. In most circumstances your household goods can be direct loaded or unloaded at your home. 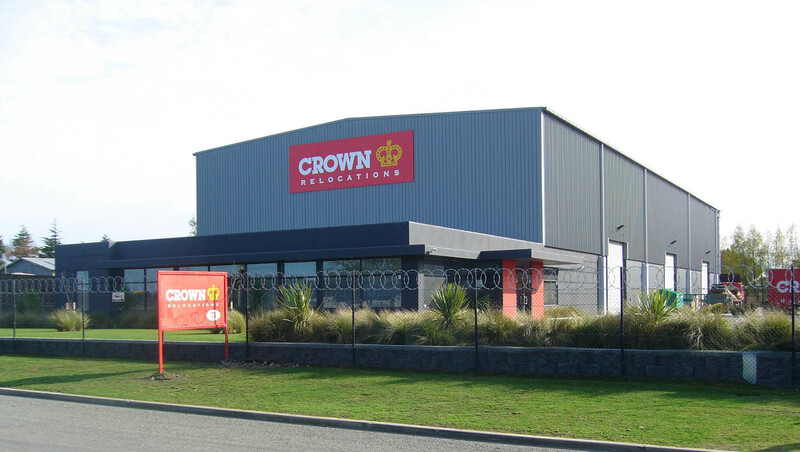 All major Crown storage depots are transitional facilities licensed by the Ministry of Primary Industries. Security is paramount and Crown warehouses are fully alarmed, electronically monitored and patrolled by security specialists. Given suitable notice customers can access their goods or arrange delivery at any time. In addition to your household goods we also store pianos, boats, motor vehicles, motor cycles and caravans. If you fully investigate you will find that the real cost of storing with Crown is significantly less than the alternatives. The reason is simple, Crown charge you on exactly what you have and don’t fit you into a unit or module that is bigger than you need. While a storage operator may offer 24 hour access the reality is that in return for this convenience you will need a unit that is far bigger than the volume of your effects. In many instances these charges will be double Crown’s. We also do not insist on fixed term rental periods, when it’s time to get your effects out of store that’s when your contract finishes. Why pay twice as much as you need to for a convenience factor that with a little planning is not required? Self-storage and mobile pod operators have a variety of ways to make money while giving the appearance of being price competitive. For example, they sell new packing materials so customers can pack themselves and ‘save money’ on moving costs. What they don’t tell you is that the packing materials are of low quality and have significant mark ups applied. If Crown packs you for a domestic move we primarily use quality 2nd hand recycled cartons that are priced into the job at 10-20% of what these operators will charge you for inferior new materials. In addition to cartons and crates there are many other materials you need to protect your household effects in storage. When you add the retail cost of buying materials for bagging your lounge suites, beds and bubble wrapping white ware and leather furniture the costs soon mount up. Inferior bubble wrap products are actually a major cause of furniture damage. Plastic bubble wrap of poor quality will dent, score and mark polished furniture and white ware. When you move your furniture and white ware into storage everything needs to be professionally stowed with ‘furniture pads’ to avoid denting, scraping and damage. To do it yourself comes at a significant cost. For example Crown allocates 80- 100 furniture pads to protect a standard 3 bedroom household in storage. This is at no additional cost as we retrieve the pads when we deliver. To purchase the equivalent from a storage or mobile pod operator will come at a price of approx. $20 per pad. If you use a ‘one off’ mover into a self-storage unit they will not leave you their furniture pads as they do not operate the storage facility, or have a guaranteed contract for redelivery. One of the biggest benefits of Crown packing, insuring, moving, storing and redelivery is the management of risk. Crown’s insurance cover has you fully protected for the entire process, most importantly the redelivery after a term in storage. If you have a split removals and/or storage service it is impossible to fully cover all risks associated with damages, loss, mold, mildew, derangement, fading, natural disaster or theft. We refuse to store inflammables and/or accelerants to minimise the risk of gas explosions or fire. Having your household goods 100% under Crown management minimises the risk of unforeseen circumstances and guarantees that your insurance covers all bases if unforeseen circumstances conspire against you. There are so many compelling reasons to store with Crown that it’s impossible to list them all. The easiest way to describe it is ‘Peace of Mind’. With Crown you can be sure that you know who you are dealing with and all of your needs are being professionally managed under one roof. We have no hesitation in recommending self-storage operators for commercial purposes, ‘Trade Me’ type businesses and those who have permanently downsized their accommodation and have an overflow of house hold items. However if you are moving house and need to store your household goods and personal effects Crown is not only the best price solution it is the only solution for peace of mind and managing risk.